French winger Franck Ribery was not too pleased at being subbed off during Bayern Munich’s 4-1 Klassiker win over Borussia Dortmund, but his Italian coach Carlo Ancelotti showed some Mediterranean love to calm the winger. After scoring and assisting two of Bayern’s four goals, the Frenchman’s number was held up in the 74th minute to signal his departure. 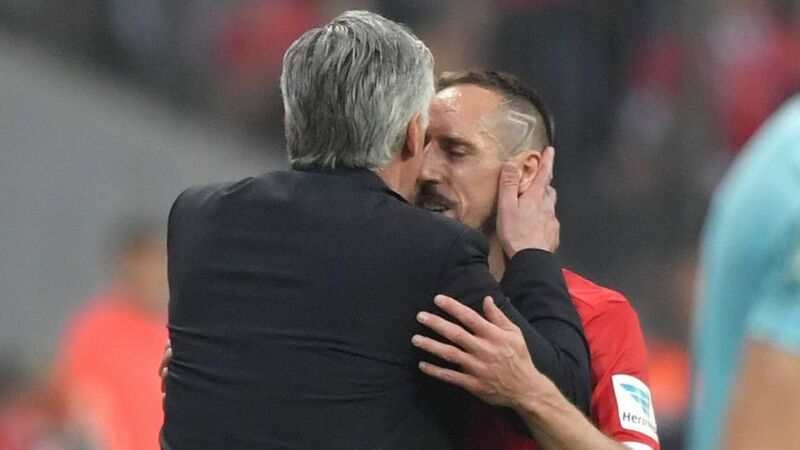 Not happy with his coach’s decision, Ribery began arguing with Ancelotti, but the experienced boss simply embraced his player and gave him a big kiss as a reward for his performance – much to the delight of Ribery and those around them. Ancelotti had already spoken light-heartedly about his winger before the game, joking in his press conference about the squad pretending Ribery had just turned 27, and not in fact 34.